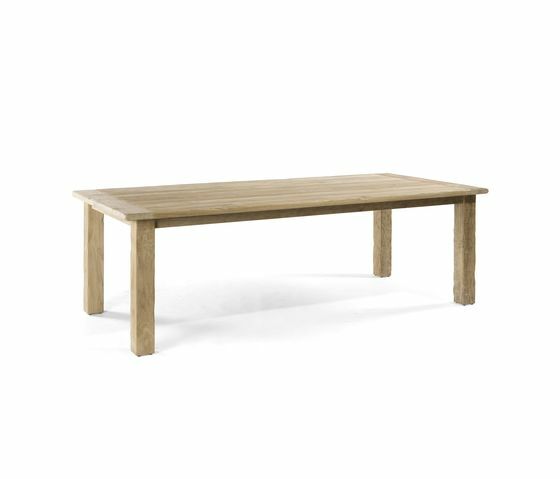 By means of its aged look, this table in old teak radiates the hip and cosy style of a parsonage. It is rustic and modern at the same time and combines a warm radiance with somewhat ‘cooler’ lines. It does well in both classic and modern outdoor spaces.